Did you know zombie fabric was a thing? 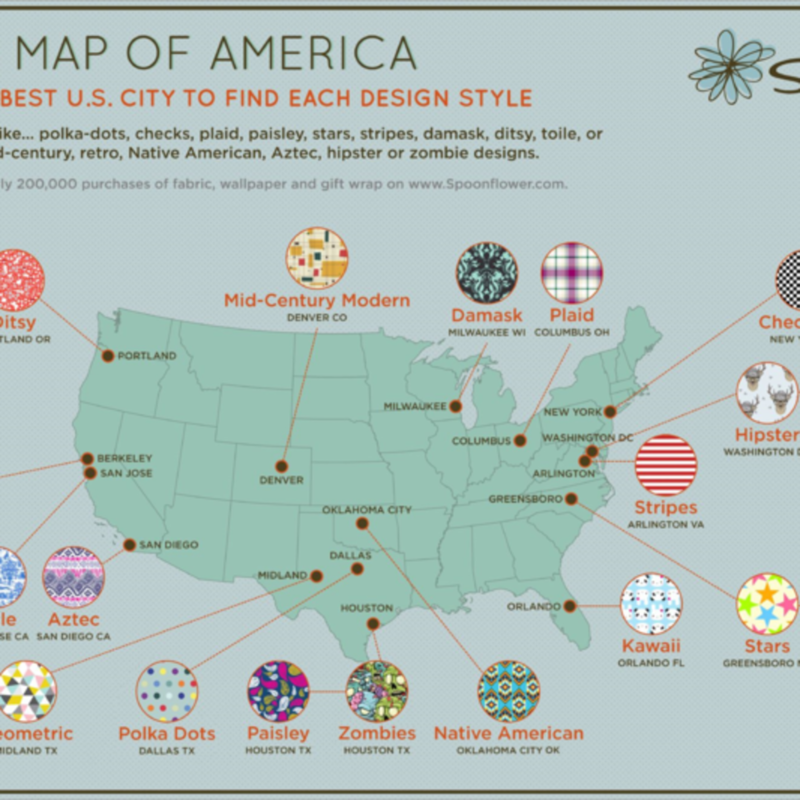 Neither did we until we saw Spoonflower's "decor map of America." 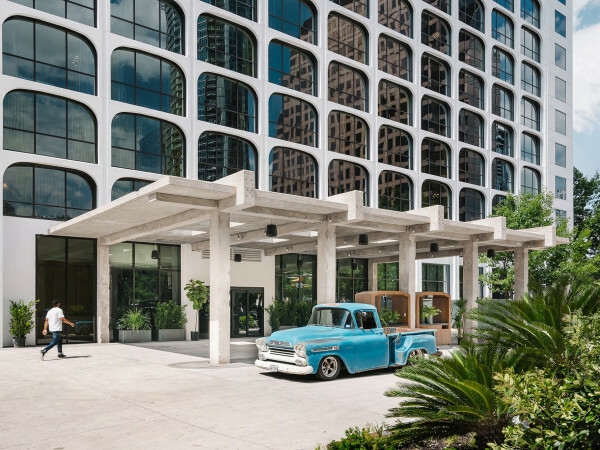 The fabric design company recently revealed the most popular fabric purchases for a handful of U.S. cities, and it turns out Texas has some very distinct tastes. 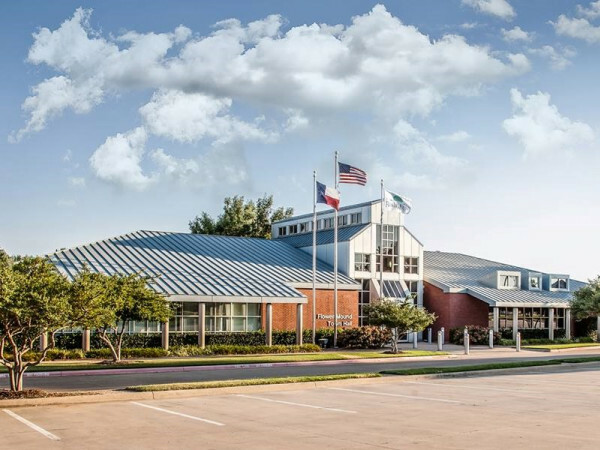 So what are Dallasites drawn to? We apparently love polka dots, making us "dynamic multitaskers." The site also reminds us of that snazzy brown and yellow polka-dot jumpsuit legendary running back Emmitt Smith wore 25 years ago to the press conference announcing his signing with the Dallas Cowboys. Midland is wild about geometric patterns, while Houston loves paisley ... and zombies. 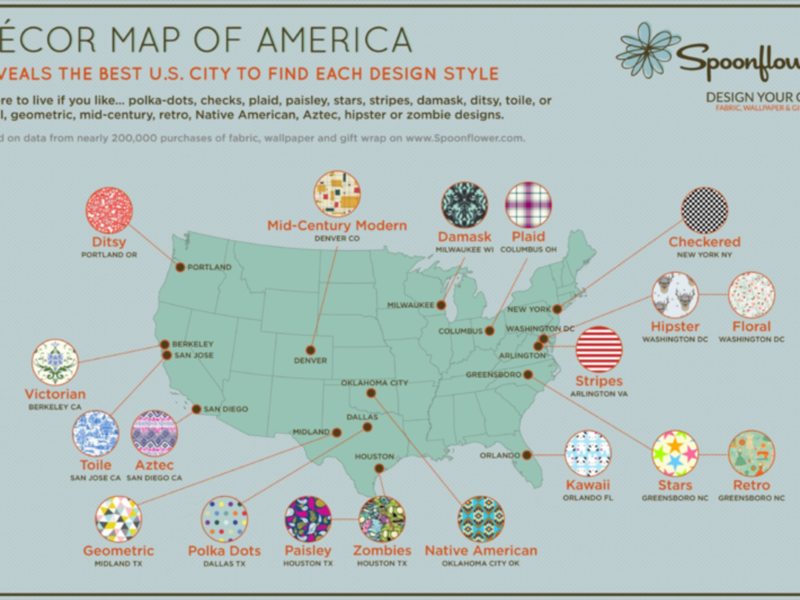 Yup, Houston can now be dubbed the "Zombie Capital of America" thanks to all the undead-themed fabric and wallpaper purchased by its residents.